We all get bored at work. Maybe the work is tedious; maybe your boss has experienced some sort of personality transplant that makes them akin to a supervillain; or maybe your colleague has decided the outlet to their boredom is irritating you to your absolute limit. Even if you’re following your passions and doing what you absolutely love, there will come days when you’d rather curl up on your bed and watch Netflix instead. That’s normal. That will pass. But there is an entirely different level of bored – one that indicates a need for change. You might be at a job that drags you down in every way – tainting your personality, your self-esteem, and even your physical wellbeing. There are plenty of signs to indicate whether you’re experiencing a bad day or if you need to get away from that job like it’s the sinking Titanic. 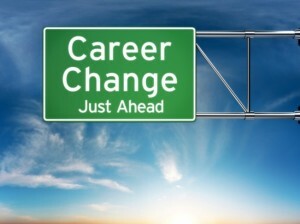 Here are three main signs to let you know if you need a career change: 1. You Dread It There are some days when you really don’t want to go to work; this is usually the result of a new episode of your favorite show coming out, or a friend inviting you to hang out for the day. That’s normal; yet the need for a career change comes when this feeling is kicked up to eleven. - Emotional strain. Picture it. You’re sitting at home with your family or are out with friends, having a great time! Then you glance at the clock and realize that in twelve hours, you’ll be back at your job. The anxiety sets in – the “I really, really don’t want to do this,” feeling. Even though you have more than half a day before then, the rest of the evening is tainted by the dreaded anticipation. The same happens the next week, and the next. Then when you do attend work, you’re constantly watching the clock and feeling a hit of frustration every time you realize it’s not quitting time. This is your subconscious sending you a message. It dislikes the work, the environment, or maybe the job as a whole and wants nothing more than to escape the situation. - Physical ailments. The body sends us signals when we’re in trouble; if you’ve ingested something toxic, your stomach will vomit it up. If there is too much strain on the eyes, a headache will arise. If you feel physically ill, drained, or taxed when Monday morning rolls around, it’s your body sending you a warning that this job is bad for you and it doesn’t wish to continue. If this is a constant affliction, then for your own wellbeing, you should listen to what your body is saying. 2. There’s Little Room for Improvement Humanity is an ambitious species. Our history is full of events where people try something new, improve something old, and make discoveries that change the world. We each want to tap into this potential, but some jobs don’t allow us. - Your opinions are overlooked. People feel most useless when they’re not allowed to share their creativity. The ability to offer your suggestions and creative ideas, and see something genuinely improve from your input is motivating, validating, and encourages you to drive onwards. However, when this opportunity is taken away from you, you’ll end up feeling apathetic and bored in your position. In these cases, it’s wise to find a new career which values your abilities. - Your chances of promotion are ignored. Achieving greater wages, greater influence, and greater benefits motivates us to work harder. However, if your managers continuously deny you these advantages, why should you put in the extra effort? If you feel like you’ve made all the advancements you think you can, and see little potential of your boss offering you any future ones, then for the sake of your profit and your emotional wellbeing, you should consider a different profession. - You hate your boss and co-workers. Humans are social creatures, and without a connective network that allows us to interact, collaborate, and enjoy our time, work becomes dull and lifeless. This cuts down on your productivity, your enthusiasm, as well as your motivation to deliver quality work. The best jobs are the ones which promote collaboration and interaction, and if your position lacks this, finding an alternative which offers you a solid network is the best solution. 3. You Feel Trapped Our subconscious knows us better than we do. When we’re trapped in a situation we wish to escape, we most times search for solutions and alternatives to our current positions in subtle ways. This also comes with excuses as to why we stay. - “I’m in it for the money.” It’s a common excuse, and when you’ve exhausted all alternatives, this is likely your last resort. After all, money is a necessity for every life! However, as the Beatles illustrated, “money can’t buy you love.” If your emotional and physical wellbeing is put at risk at your current job, and if your personal life and relationships are being negatively affected as a result, then what is that worth? Ask yourself the question, “If I could leave tomorrow and not have my financial security risked, would I?” Your answer will make the decision for you – should you stay or should you find a job that pays perhaps less, but allows you to enjoy your life? - Do you dream of other jobs? You may find yourself scrolling through alternative jobs on the internet, unknowingly daydreaming about new prospects. Perhaps you watch your favorite show and think, “I bet that character’s job would be really nice,” or “I wish I had that job.” This is your mind saying what you will not – it wants a change, and inherently so do you. A career change may be just what you need. Staying at the wrong job can result in great strain to yourself, your relationships, and to the work you produce. If you identify with these three signs, then the answer is clear. Time to go job hunting!